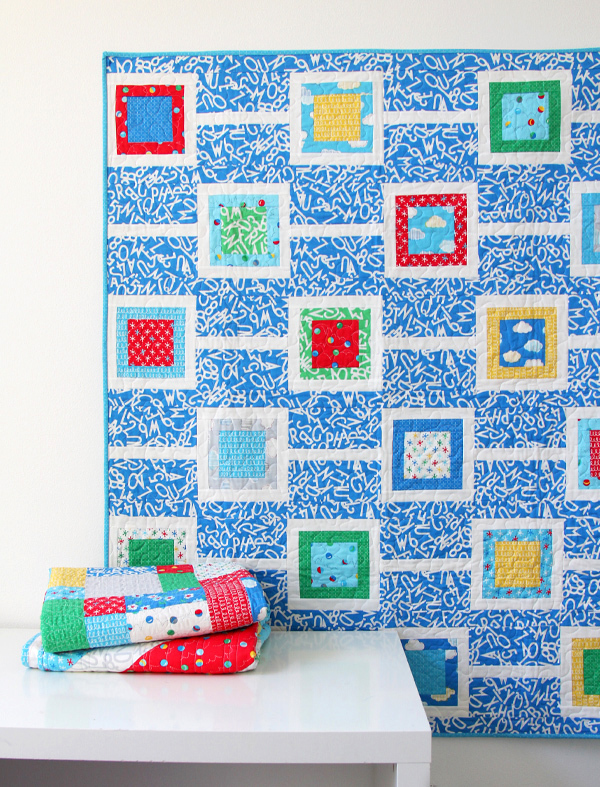 Boxed Up Quilt Pattern in Bounce. Thank you for the kind words and comments about my Bounce fabric! 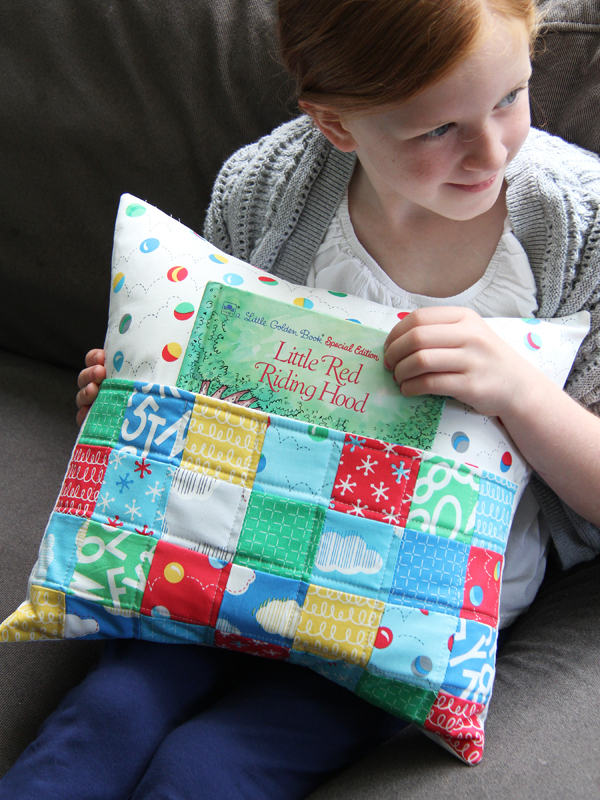 It was really fun to design and sew with…and share with you! I have a few more projects to share with you today that I made with it. 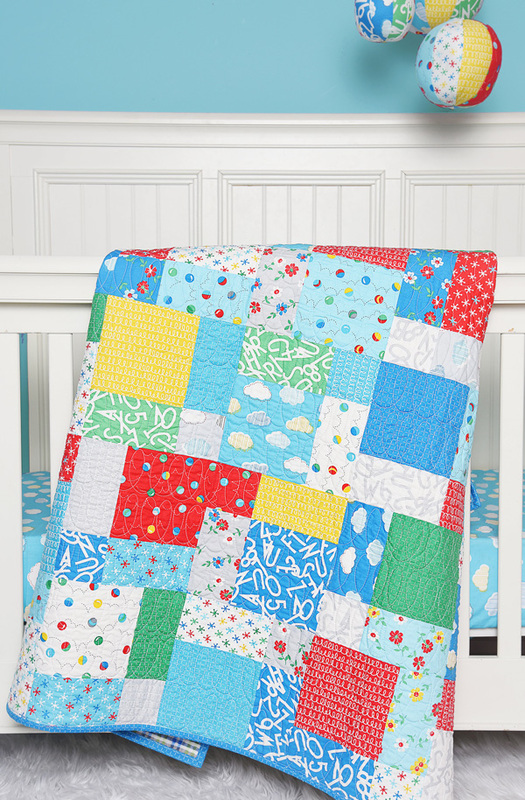 While I was designing this box letter print fabric, I was envisioning this Chain Reaction quilt. 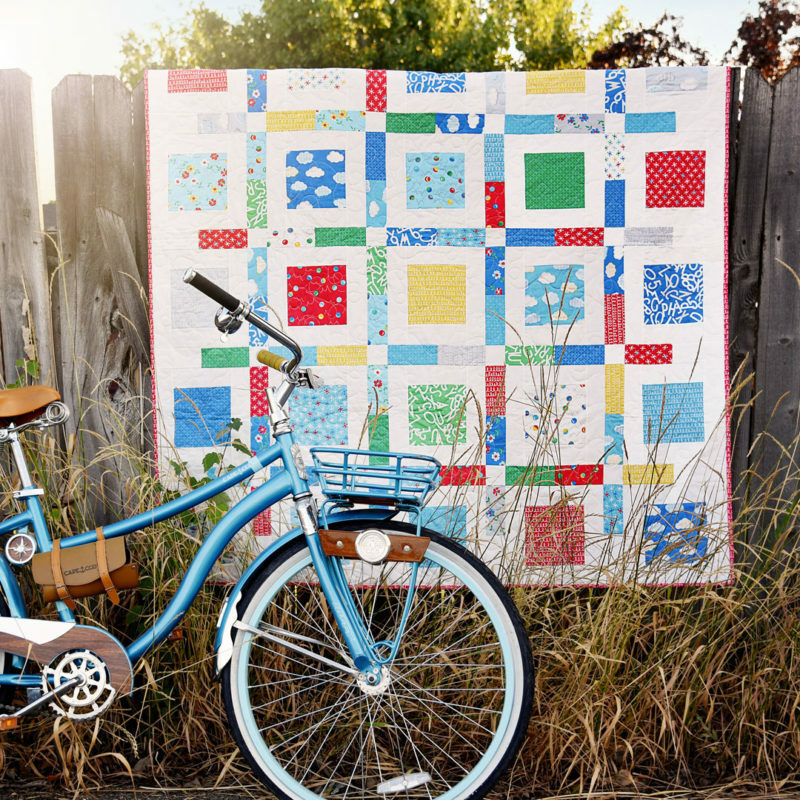 It makes such a cute background fabric and really gives this quilt personality! 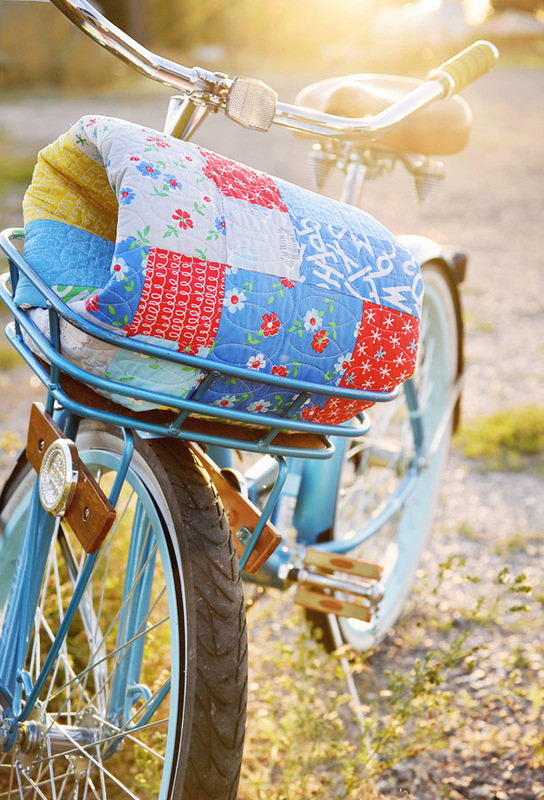 This is my favorite quilt I made with this collection (besides one that is still in progress!). To see all of my previous Bounce projects and the fabric see this post. So CUTE! I purchased your chain reaction pattern and made my grandson a Star Wars quilt..so cute if I do say so myself:) Have a great day. Oh that pattern will be perfect for a Star Wars quilt! Your Chain Reaction pattern with this lovely print as background is especially stunning. It sure makes all the other prints pop out. Perfect for those little eyes to look at and discover. You told us which bolt of white fabric you use and I lost my note, please refresh my memory. I love everything you do. Thanks for the inspiration and education. Hi Susan! I use Bella Solids 97. It’s meant for dying, so some worry it holds color more than other whites, but I’ve never had any issues after years of washing it and using it. I also love Bella Solids 200 which is a very similar color that I will probably start buying! Thanks Allison. I appreciate your help and inspiration. Amazing work! 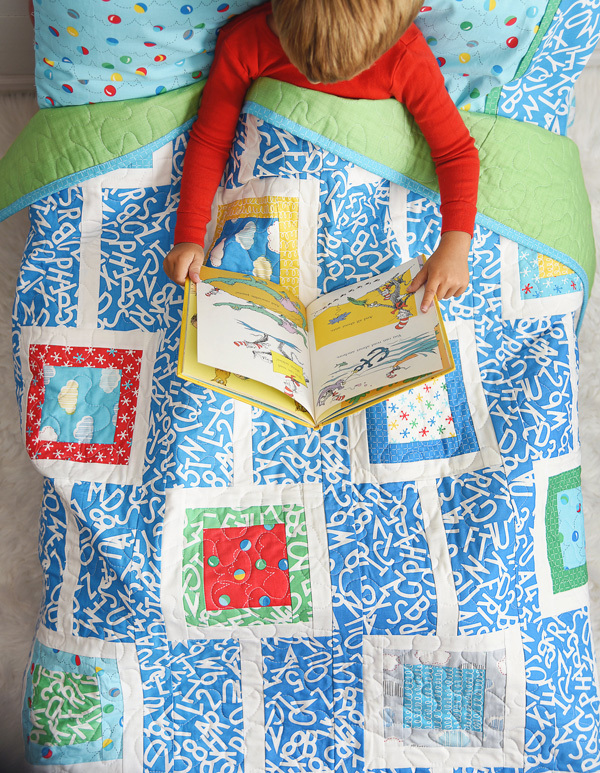 The quilts are so beautiful! Thank you for the inspiration! I just received your _Growing Up Modern_ and I love every pattern in it! My problem? I don’t know which to make first! All are beautiful!! My z3 grandchildren will be thanking you too!! 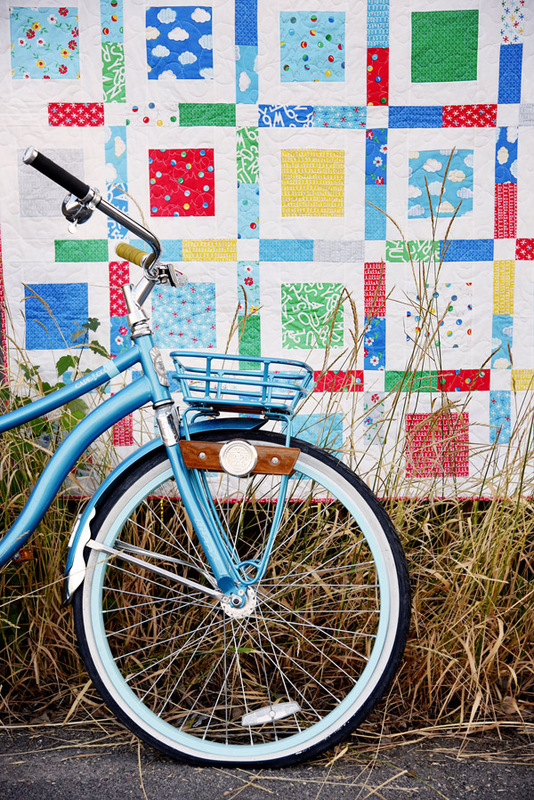 Thank you for all your wonderful quilts! !